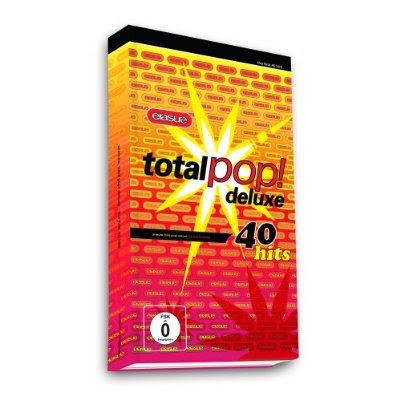 Just a quick note to mention that this week's Towleroad column will be posted today, and it covers Erasure's forthcoming Total Pop!—Deluxe box set being released in two weeks in the U.K., and April 7 in the U.S.
Love, love, love LOVE ETC. The PSB track is amazing and it's great to see a label that decided to not bother fighting a heavily leaked song. Just a note about the Towleroad piece. Erasure actually did put out another single but they didn't include the Union Street version of "Boy" on the compilation. I love me some PSB, but Erasure will always be my top alien band. So if you are a fan, you now know my two favorite Erasure tracks. I am looking forward to new PSB but canNOT wait to get my paws on the new Erasure remixes. I've only seen PSB live once, great show, but I've seen Erasure and Andy probably half a dozen times. Thank you for your article, really helpful material. I vote for the Pet Shop Boys all the way!